Hickory Hlll Eleanor was added to Greenlee Farms in October 2012. We first met this magnificent mare in April 2012 at the National Clydesdales and Shire Auction where she was consigned for sale by Taylor Shires and presented by Northeast Shires. Eleanor was a no sale and fortunately we were able to persuade Taylor Shires to sell her to Greenlee Farms before returning to the Fall Sale in October. Elly has superior breeding and the desire to hitch, keep an eye on this little filly’s career as she takes us to the next level..
Elly was foaled in April 2010 by Taylor Shires. Her sire is Isles Field Danny Boy (ASHA 23001-S) and dam is Montagues Long Tall Sally (ASHA 24055-M). 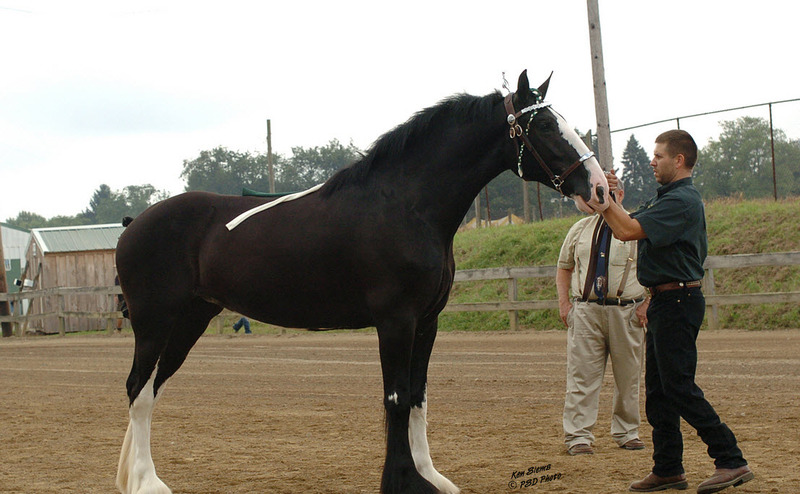 Both of these registered shires are owned by Janet Long of Northeast Shires and are producing champion horses every year. 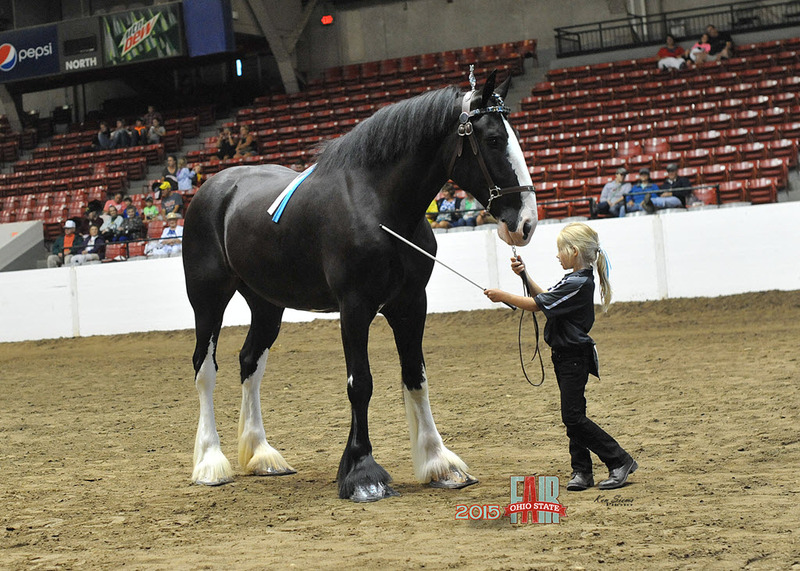 Elly started her career later, but made up for lost time by winning Best American Bred Shire Mare at 2014 Keystone International Livestock Exposition (KILE), 1st place 3 year old mare at New York State Fair 2013, Reserve Grand Champion Shire Mare at Ohio State Fair 2013 and 2015. Elly has the athleticism and heart to excel in the hitch arena, leading Greenlee Farms to win the 4-horse hitch at Crawford County Fair in 2015.